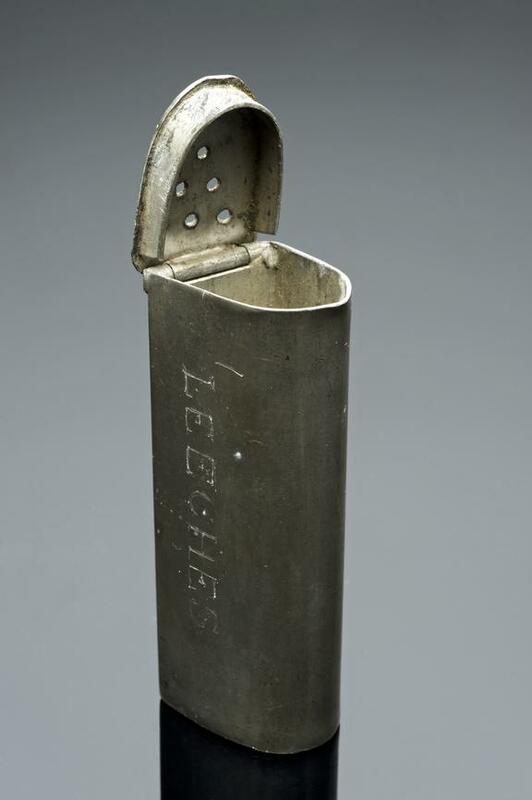 Pewter leech box, 19th century. Graduated black perspex background. Specific types of leech were used in bloodletting and this special box would have been used to transport them to where they were needed. 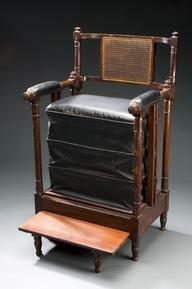 Leeches were such a popular treatment that by 1830 demand was outstripping the supply. They are a type of worm with suckers at both ends of the body, although only the frontal sucker, which has teeth, is used to feed. Once attached to a living body, they feed on its blood. Leeches normally live in freshwater and collecting them from river beds was traditionally a female occupation. This box is made of pewter and has air holes in one end. The word “LEECHES” is engraved on the side. Few leech boxes have survived.